Do you need a VPN service for WordPress? Lots of people rely on Virtual Private Networks to protect their privacy and keep them safe. They protect personal and private information and can mask your location, helping bypass snooping and restrictions. According to research by BestVPN.ie, 31% of VPN users use VPNs to protect their anonymity while browsing online. Here are the best VPN services for WordPress users. IPVanish is among the best VPN services in the world. Their service is super easy to use and works with all popular devices, browsers, and operating systems. Beginners have no trouble getting started, and advanced users have lots of features to enjoy. IPVanish doesn’t keep logs, has over 500 servers, and boasts high speeds, making it a top quality VPN for people who want great quality at great value. IPV costs a little more than some other VPN services, but there’s no denying you get what you pay for. ExpressVPN is another high quality VPN service, with services available in 94 countries. They adhere to the top standards of the industry to ensure that your data and information is encrypted for high security. Thanks to their apps that work on desktop, mobile, and other devices, you’ll have no problem using this service. ExpressVPN allows you to change your IP and switch servers with a single click. The main features of the service include P2P connections, zero-logging of internet activities, file sharing, and more. Overplay is a top quality VPN service for keeping personal information and online activity secure. They have servers in over 50 countries, with a network that encompasses more than 650 servers. Overplay provides instant, unlimited server switching, letting you jump to a faster server in a matter of seconds. They also have a quick connect feature that suggest servers to connect to for high speeds. Overplay works great on all devices, comes with P2P features, and offers the choice between SmartDNS with or without VPN encryption. NordVPN is for people who want better than average protection. They provide double encryption by encrypting already-encrypted traffic for you. If this is an important feature you want, then this could very well be the best VPN for you. Outside of their dedication to security, NordVPN boasts over 1,000 servers in over 60 countries and has a fantastic kill-switch feature. This feature will automatically close applications and prevent internet traffic from flowing if you get disconnected from the server. Not everyone on WordPress is going to be on the hunt for that level of security, but it’s good to know you have options if you need them. Private Internet Access is considered by many to be a great choice for VPNs. You can have up to five devices connected at once, including phones, unlimited encrypted bandwidth, Wi-Fi encryption, peer-to-peer connections, and there are no traffic logs. They don’t record what you do while connected, giving you privacy and peace of mind. VyprVPN is one of the most robust VPN services available. 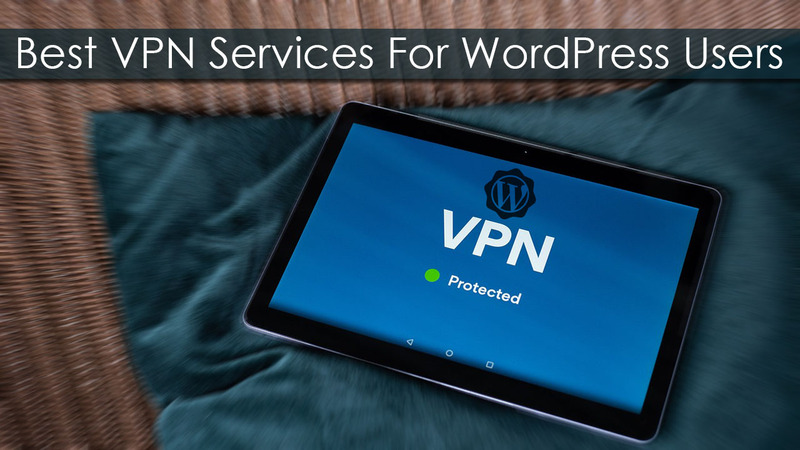 They boast the best AES-256 encryption available on the market right now, which is why they deserve a spot on any list of the top VPN services for WordPress. With over 700 servers and 200,000 IPs across 70 locations, they have a fantastic range of services for users to get past censorship. Their services include having a cross-platform client that works with anything, Chameleon Technology, zero logging, 24/7 support, and their own DNS service called VyprDNS. Last but not least we have TorGuard. TorGuard is fast and reliable and keeps no logs of user activity. There’s a range of different options and packages so you can tailor your protection to your needed level of privacy and security. TorGuard allows up to five connections at once, with servers in over 50 countries, and incredible customer support. One thing that helps TorGuard stand out, especially for WordPress users, is their business VPN service. If you need a VPN for your business, then TorGuard is hard to beat. They also provide Deep Packet Inspection bypassing, which allows you to use their services in locations and countries that actively block VPN services.